15th August the National festival of India. The National festival of India is celebrated in all over the India today. India will always remember the date of 15th August. Today the festival is celebrated in all schools, Colleges, Govt offices and in every organizations in India. We got the free India from British Govt. in 1947 today is the 67th Independence day. Naytaji Subash Chandra Bose, Chandra Shakher Azaad, Bhagat Singh Sukhdev Rajguru, Khudiram Bose and so many freedom fighters sacrificed their life for India. Now we are in free India so requesting all of Indians let make an educated India because education is must for progress. 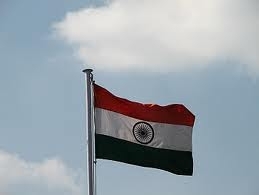 We are very proud to be an Indian, So love our Nation, Work for our Nation to Grow. Never forget the heroes who sacrificed their lives to bring up this glorious day. Schools24hours wishing to all Indian a happy 67th Independence day.